While the summer used to be a slow time for video games, August has turned into a gateway to the holiday gaming season. This August promises to be one of the biggest yet. You’ll be able to jump into a whole new adventure in the land of Azeroth, take one last stand against the walker horde, and make your way into the wild to hunt down the fiercest monsters you can find. And that’s just the beginning of the explosive lineup of new releases. Here are the games you’ll definitely want to buy in August 2018. Overcooked 2 The chaotic local co-op cooking simulator Overcooked hit the indie scene in 2016 and became an immediate critical darling. Pitting up to four players in perilous kitchens full of obstacles and a long line of backed up orders, Overcooked provides one of the most interesting co-op experiences that doesn’t involve shooting zombies. It’s no wonder that developer Ghost Town Games is back at it with Overcooked 2. This sequel brings more of the fast-paced co-op action you know and love, but but the biggest addition to Overcooked 2 is an online multiplayer mode that allows you to team up with other players from around the world. Overcooked 2 is out on August 7th for Xbox One, PlayStation 4, Nintendo Switch, and PC. World of Warcraft: Battle for Azeroth Blizzard has been steadily releasing expansion packs for its MMO phenomenon, World of Warcraft, for the last decade and change. The last expansion, Legion, arrived in 2016, which means it’s about time we get to see what’s next for the land of Azeroth. Well, if you’ve been sitting around waiting for something to do in the game since hitting level 110, August is going to be a very big month for you. Battle for Azeroth goes back to World of Warcraft’s roots, focusing on the battle between the Alliance and the Horde, the game’s central conflict. Along with a new story, the expansion adds two new modes that should keep players busy until the next expansion: the strategic PvE mode Warfronts and the fast-paced Islands, which emphasizes replayability. On top of all that, the expansion also raises the level cap from 110 to 120, so it’s time to get grinding again! You can enlist in the Battle for Azeroth on August 14th. The Walking Dead: The Final Season Clementine faces the zombie horde one last time in The Walking Dead: The Final Season. After spending six years with the young hero as she grew from from helpless little girl to hardened survivor, we’ll finally say goodbye to one of Telltale Game’s most beloved characters. What should you expect? According to the official synopsis, things have come full circle for Clementine, who has been on the road for a few years since the first season. While she depended on the kindness of strangers in the early seasons, Clem has now stepped into the role of protector. Tasked with watching over an orphaned boy named A.J., Clem might have finally found refuge at an abandoned school. Will this be enough to ensure Clem and A.J. a happy ending? Find out when The Walking Dead: The Final Season Episode 1 premieres on August 14th for Xbox One, PlayStation 4, and PC. Monster Hunter Generations Ultimate While Nintendo Switch owners didn’t get to play the excellent Monster Hunter: World, they can at least rejoice that Capcom is still releasing another Monster Hunter title for the console. Yes, Monster Hunter Generations Ultimate is a port of a 3DS title, but it’s a port of the expanded version that released exclusively in Japan last year. Western fans will be able to play this new version for the very first time. You can pick up Monster Hunter Generations Ultimate on August 28th on the Nintendo Switch. Strange Brigade Quite a few co-op shooters have popped up in the last few months, but the weirdest and most stylish one of all is Rebellion’s Strange Brigade. Oozing inspiration from the golden age of monster movies and adventure films, Strange Brigade sends an unlikely group of heroes into Egypt to stop an evil Witch Queen from unleashing an army of mummies on the world. “I say! They’re coming out the ruddy walls now!” Mummies won’t be the only danger you’ll face either. The Strange Brigade will also have to fight minotaurs, “fire-breathing assassins,” and other supernatural threats. Luckily, these warriors are armed with plenty of guns and even a few magic powers. This truly sounds like the right team for the job. You can get Strange Brigade on August 28th for Xbox One, PlayStation 4, and PC. Dead Cells Despite being an indie title from a relatively small developer, Motion Twin’s Dead Cells might be the most highly anticipated game of August, well, the final version, at least. Dead Cells has been in Steam Early Access since 2017 and sold 730,000 copies in its first year out to the public. Now, the game is coming to Xbox One, PlayStation 4, and Switch, which means that console fans will finally get to experience what makes this Castlevania-meets-Dark Souls side-scroller so special. Its mix of addicting gameplay and tough-as-nails enemies and bosses make this one ride you won’t want to miss. Dead Cells arrives on August 7. Yakuza Kiwami 2 Hot on the heels of the critically acclaimed Yakuza 6 comes Yakuza Kiwami 2, a remake of 2008’s Yakuza 2 for the PlayStation 2. You play as a former gangster who wants to get away from his life of crime for a more peaceful life. Unfortunately, he’s dragged back into the criminal underworld following an assassination. This remake runs on the Dragon Engine, the same engine used for Yakuza 6. It also features a whole new story scenario that bridges the gap between the first Yakuza game and the second. You can return to the Yakuza on August 28th on the PlayStation 4. 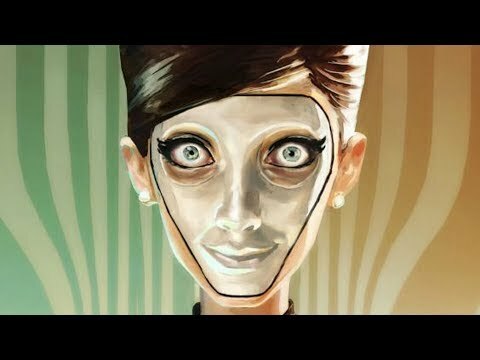 We Happy Few Compulsion Games’ We Happy Few is an interactive exploration of dystopia unlike any other. Set in an alternate 1960s England, this indie survival game shows a terrifying world where conformity and reality-altering drugs are the law. “Soon you’ll be frolicking in the village again. Happiness is a choice.” With a drug called Joy, everything around you seems much brighter and happier. But when you stop taking your Joy pill, you begin to see the grim world for what it truly is. One of the truly unique survival titles of recent years, you play as one of three characters as you traverse Wellington Wells, while completing tasks and blending in with the Joy-addicted citizens of the city. We Happy Few is out on August 10th for Xbox One, PlayStation 4, and PC. Death’s Gambit While this game may look similar to Dead Cells in terms of basic gameplay, Death’s Gambit is a more straightforward affair, skipping the roguelike elements for challenging level design and enemies. But what really catches your eye is the beautiful, pixelated art style. The gorgeous visuals almost make you forget that everyone is out to stab you. Luckily, you’re armed with a full array of weapons, including swords, bows, spears, and much more. And with an expansive world, there’s plenty to see and do in this action-RPG platformer. Death’s Gambit is out on PlayStation 4 and PC on August 14. .